Wildside Makes January Fun Again! Wildside kicked off 2018 with a fun, winter-themed evening at Sunday Night Wild called ‘The Meltdown’. Thirty-three kids attended the night full of games, Jesus, food, and fun! The frozen fun started with a ‘snowball fight’ played with balloons. After the snowball fight the kids got to go ‘ice fishing’ which involved finding Swedish Fish buried in a pan of whipped cream. Following the wintry games the kids enjoyed some singing and then dove right into the lesson. The lesson, inspiring the events title, was teaching the kids to avoid meltdowns, temper tantrums, and throwing fits. They were taught that using self-control they could resist the attacks by Satan and avoid destructive behavior like tantrums and meltdowns. The verse of the evening was, “A man without self-control is like a city broken into and left without walls.” Proverbs 25:28. An object lesson and a game called, ‘Don’t Have a Meltdown’ were used to help illustrate the verse and the lesson for all the kids. After the lesson time, the kids had snacks and hung out before ending the first Sunday Night Wild of 2018. On January 23rd the Trinity Center hosted a super bowl sized party to celebrate America’s favorite sport! 56 kids showed up to celebrate Wildside’s 3rd annual Football & Cheerleading Party. They participated in football themed carnival games, a flag football game, and a football scavenger hunt, along with arts & crafts activities, enjoying delicious food, and hearing a message about being God’s champion. Building off the lesson of self-control taught at The Meltdown, the kids at the party learned how becoming a champion for God requires self-control – a lot like becoming a championship quality football team. Just like a winning football team needs to practice, problem solve, and work as a team in order to win, we too, need to practice self-control by not throwing fits or getting angry and hurting others, we need to solve problems God’s way and we need to work peacefully together as a team for God. 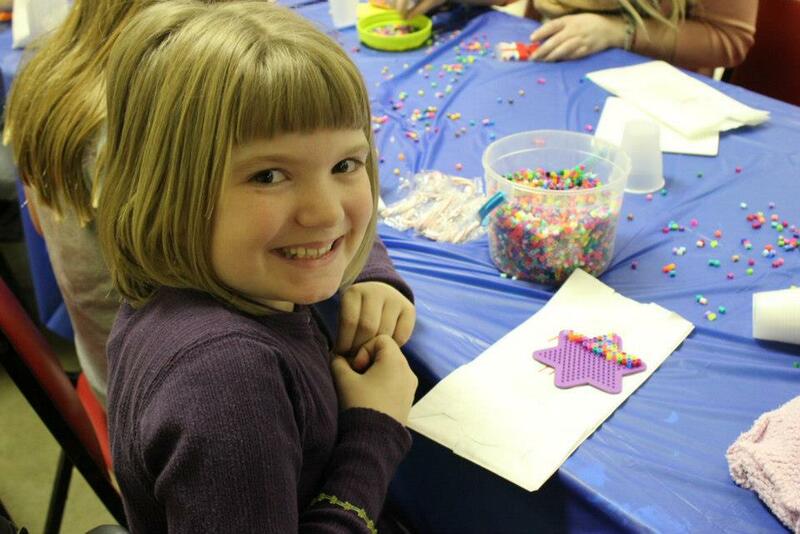 The kids who attend Wildside events love every minute of it and continue to come back for more fun. Wildside still has some more fun coming with the next big party on February 13th to celebrate Valentines Day. This event is free for kids ages 5-12 so call 301.739.1165 or email info@wildsideyouth.com to register your kids. Wildside Youth is our kids ministry at The Hope Center. With various events taking place year round, Wildside is providing a safe, fun, and educational experience free for kids ages 5-12 in Hagerstown. During the school year Wildside hosts large party events each month along with special Sunday evening services geared just for kids. In the summer Wildside hosts Camp Wild, a free day camp running for four weeks in July and August. Wildside is also cultivating student leaders through their after school program, The Crew, where young people learn valuable skills and are given some leadership responsibilities during various events and activities at Wildside. For more information about Wildside Youth check out http://www.wildsideyouth.com. Each month Wildside Youth hosts a large, free party for any kids in the greater Hagerstown area between the ages of 5 & 12. On Tuesday, January 22, the Trinity Center at The Hope Center came alive with the flurry of activity from Wildside’s Winter Olympics party! This yearly event is a highlight of the winter for the kids who come. 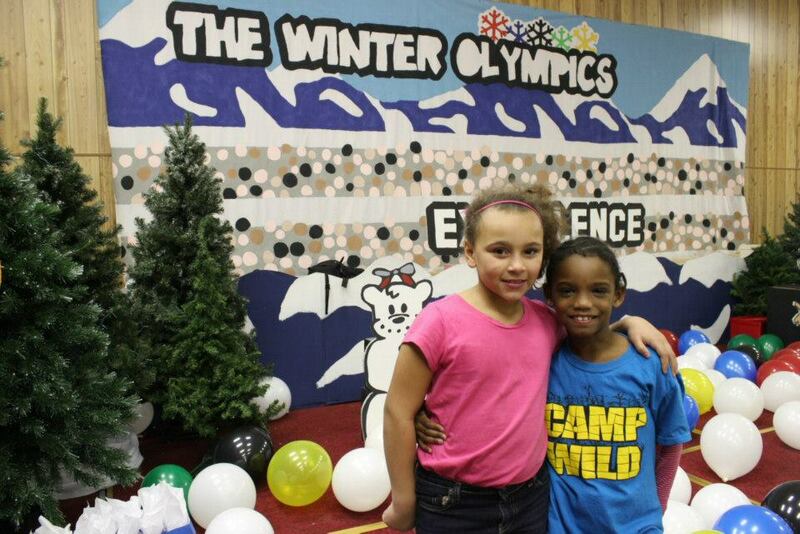 This year, over 50 kids braved the freezing temperatures to enjoy a night celebrating the winter games! The kids enjoyed some free time followed by a massive “snowball fight”. The snowballs were balloons and the object of the game is to get as many snowballs onto the opposing teams side of the room. The snowball fight was a battle between the boys & girls and the girls came out as the Olympic victors! In addition to the snowball fight activity, the kids were able to enjoy some winter themed carnival games. The games included Olympic Ring Toss, Olympic Torch Relay, Snowflake Matching (a wintery twist on Old Maid) and Make a Goal, a hockey inspired game. The kids were able to win prizes at each event. Along with all the winter themed activities, the kids were also able enjoy other regular Wildside activities like the Marketplace, the Hollywood & Hawaiian game rooms and an area dedicated to art projects. Following the game times, the kids came together to learn about one of the Wildside Core Values. In the fall the kids learned about respect. The lesson of the night focused on Proverbs 14:2 and the ‘Parable of the Sower’. The kids learned they should always do their best to live a life that shows respect for the Lord. At the end of the lesson three kids came forward during the altar call! 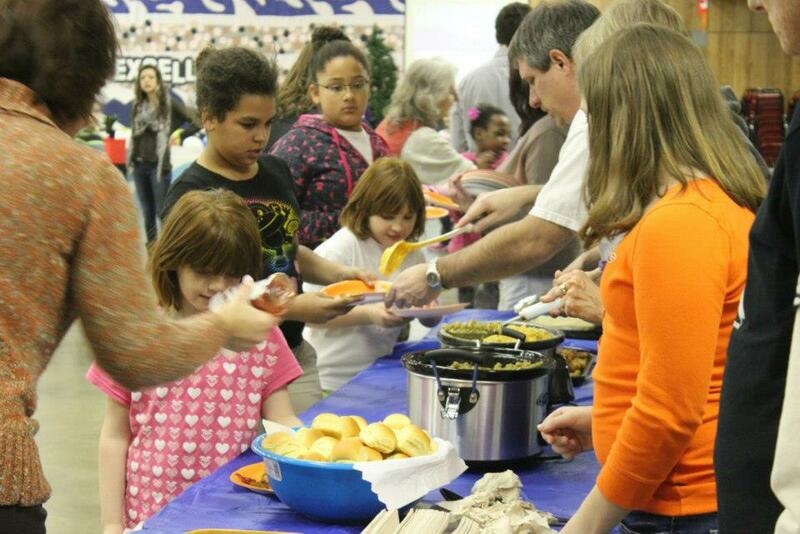 At the end of the lesson the kids were served a delicious dinner of fish sticks, green beans, rolls, cupcakes & more! Prizes were also distributed to lucky Olympians! All this fun is provided free of charge for kids ages 5-12. If you know of kids who would definitely love these types of action-packed events then please check out www.wildsideyouth.com for more info or call 301.739.1165. Also, if you’re interested in volunteering at The Hope Center, including with Wildside, please call 301.739.1165 or email hagerstownrescue@verizon.net. Even though Wildside only has large themed parties like this once a month, the Wildside fun continues every Sunday evening at Sunday Night Wild. Sunday Night Wild is a free activity for kids from 7-8pm. They sing, play games, learn about Jesus and eat some great snacks! This is a great event to invite unchurched kids or to supplement the Christian education that churched kids are already receiving. Go to www.wildsideyouth.com to learn more about Sunday Night Wild.